Jasmine and Fire: A Bittersweet Year in Beirut is Salma Abdelnour’s story (with recipes) of returning to Lebanon, where she hadn’t lived for thirty years. During her year in Lebanon, Salma contemplates the meaning of “home,” travels throughout the country, and thrives on eating and cooking Lebanese food. 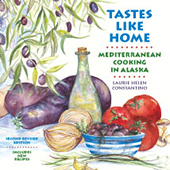 With my gaggle of immigrant friends in Alaska, and twenty-nine years of making a part-time life on a rural Greek island, Salma’s meditations on home and belonging struck a deep chord with me. At age nine, Salma was torn from her home in Beirut, her friends, her extended family, and her country. Her parents uprooted the family to escape the Lebanese civil war’s increasing violence. Fighting began in 1975 and ended in 1990. By the time hostilities ended, 1 million Lebanese had emigrated; many, like Salma’s family, for a new life in the United States. Salma prospered in the United States. 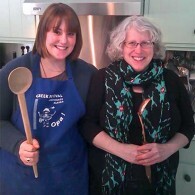 She excelled academically and reached the top of her field as a food and travel writer/editor for national magazines. When she left her most recent magazine job to go freelance, Salma found plenty of work. Despite her many successes and strong friendships, Salma always felt like an outsider in the United States, someone who had to struggle for acceptance. Hoping to find a place where she could relax and effortlessly fit in, Salma decided in 2010 to move to Lebanon for at least a year. Her parents had kept the apartment where Salma lived to age nine. When she landed in Beirut, Salma moved into her childhood bedroom. Salma describes in fascinating detail the hidden corners and secret treasures of Lebanon and Beirut, “one of the world’s most complex, legendary, ever-vibrant, ever-troubled cities.” She describes Lebanon’s delicious cuisine, and tells exactly which restaurants and cafes are the best. I hope the next edition of Jasmine and Fire begins each chapter with a map so readers can follow along with Salma as she strides Beirut’s streets and travels Lebanon’s treacherous highways. Abdelnour addresses the Middle East’s ongoing struggles, democracies, dictators, sectarianism and Israel, with sensitivity and grace. She describes life for typical Lebanese, many of whom are apolitical. Like most Americans and Europeans, the Lebanese get though each day as best they can, protecting their children, loving their families, and hoping for peace and harmony. If for no other reason, read Jasmine and Fire to see how much Americans and Middle Easterners have in common. I lived in Bethel, a largely Yu’pik Eskimo village in rural Alaska, for five years. Traditional Yu’pik culture, which is based on community rights and consensus building, is very different from American culture, which cares more about individual rights and freedoms. In my Bethel years, I often attended public meetings where Yu’pik elders stood and spoke. At first, the elders’ speeches seemed long and rambling and pointless. After awhile, I understood that by taking a long time, and starting with stories and values recognized by all before addressing controversial issues, the elders’ helped achieve consensus. A couple Amazon reviews of Jasmine and Fire criticize the book for being too detailed. At one point, I started feeling that way too. I kept reading, however, and concluded that just as with the Yu’pik elders, Salma’s details are necessary to the narrative. By explaining life in Beirut, day in day out, week in week out, month in month out, Salma helps us understand the universality of human needs and wants. Instead of saying, “Lebanese and Americans have much in common,” Salma lets us reach that conclusion on our own, making the book more meaningful than it would have been otherwise. Salma closes her book with twelve recipes for beloved Lebanese dishes, all of which sound mouth-wateringly delicious. Telling the stories behind the recipes, as Salma has done, always makes food taste better. 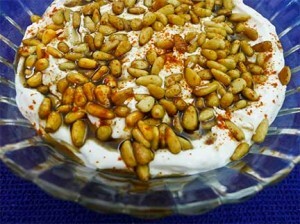 I tried Salma’s Tiss’ye (also called Fatteh Hummus), a dish of chickpeas, spiced yogurt, and toasted bread. I couldn’t quit eating it. First, we had it served as Salma recommended and later, slightly deconstructed, as a filling for a pita pocket. Both versions were wonderful. To further recommend it, Tiss’ye can be made in less than 30 minutes with pantry ingredients — at least in my home, where yogurt, chickpeas, tahini, and bread are always on hand. NOTE: The publisher sent me 2 free copies of Jasmine and Fire, one of which I’m using for the giveaway. Receiving free books did not in any way change my opinion of Jasmine and Fire. Enter our cookbook giveaway, and you’ll automatically be eligible to win "Jasmine and Fire: A Bittersweet Year in Beirut" by Salma Abdelnour. You can enter once per e-mail address per day. Deadline 6.20.12. 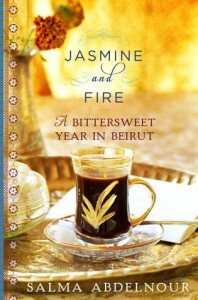 Enter the Jasmine and Fire, A Bittersweet Year in Beirut Giveaway. Note : The deadline for entries is noon (12:00 pm) Alaska time on June 20, 2012.